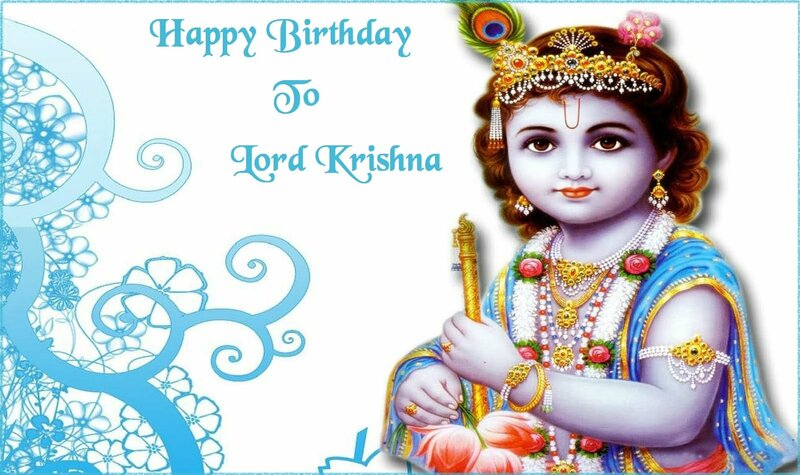 The Hindus celebrate the birth of Lord Krishna to express purpose of re-establishing the fundamentals of faith within the world. 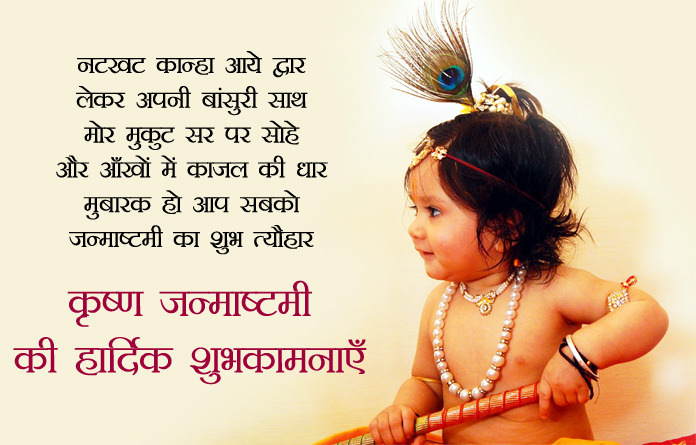 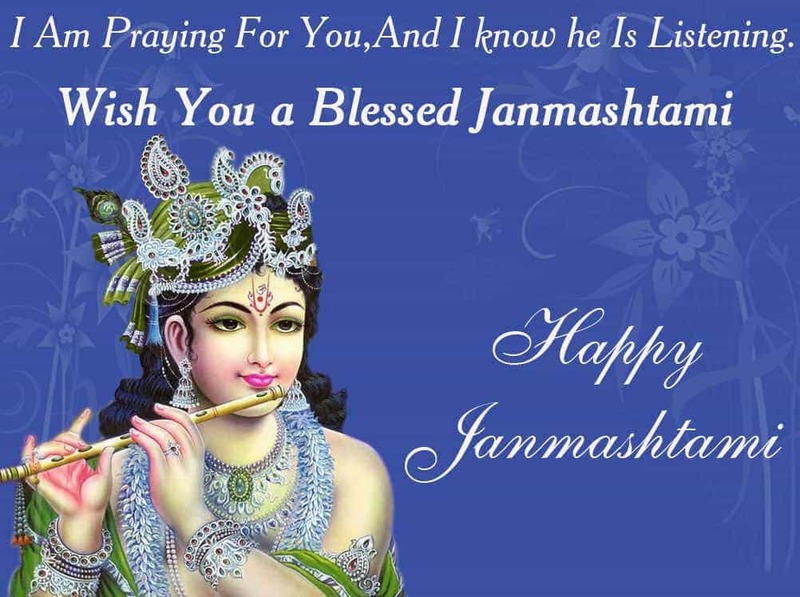 The festival of Janmashtami, or Krishna Janmashtami, celebrates the birth of Lord Krishna, one of the incarnations of God Vishnu. 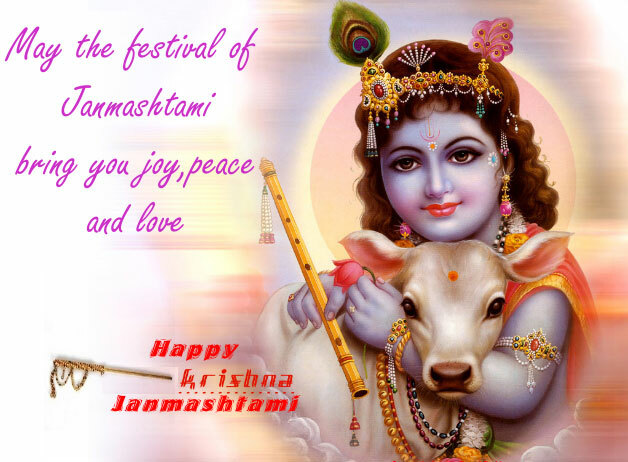 The festival falls on the Ashtami tithi, the eighth day of Krishna Paksha in the month of Bhadon of the Gregorian calendar. 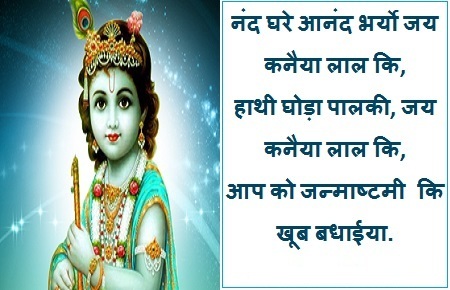 In the “Bhagavad Gita”, Krishna himself told that “yada yada hi dharmasya, glaanirbhavati bharata”, i.e. 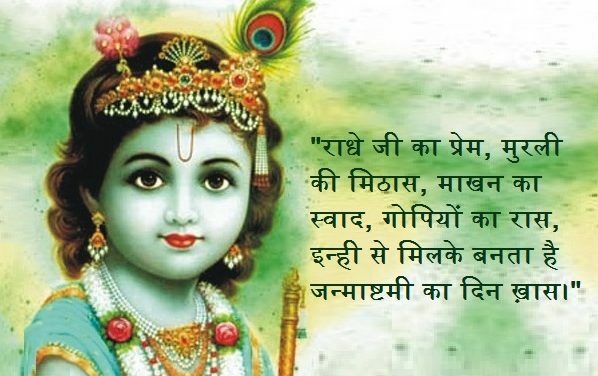 whenever faith is under attack in this world, I will re-appear to protect those who are devoted to me and to re-establish faith and order. 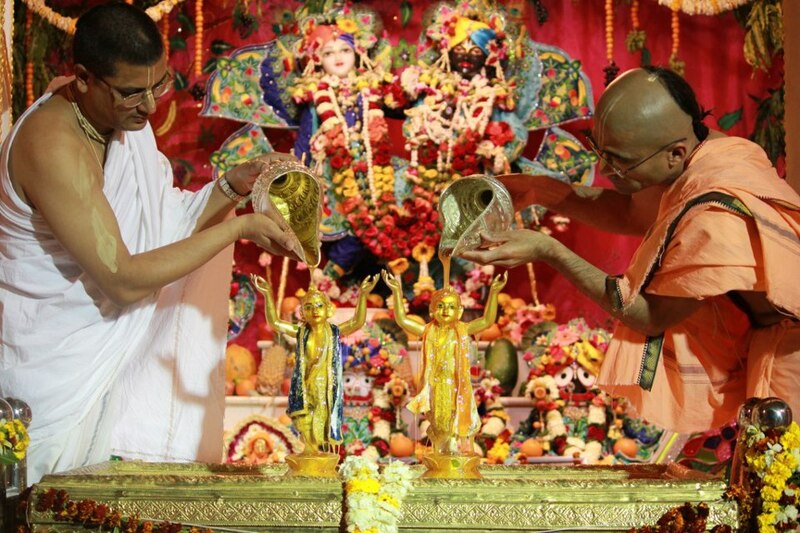 Thus,the main significance of this festival is to encourage good will and to discourage bad will. 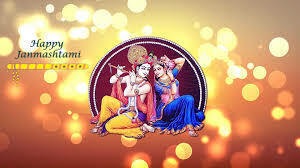 This festival also celebrates “togetherness”. 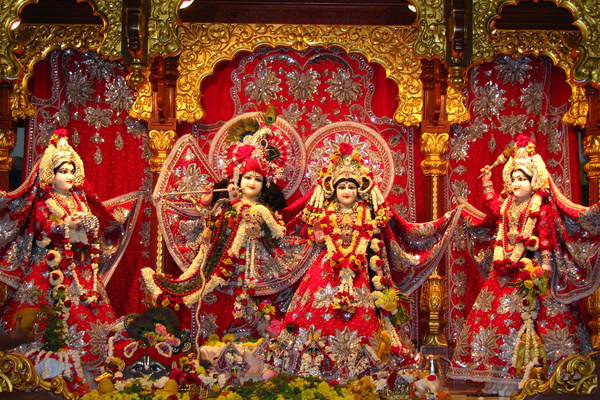 The holy occasion brings people together, thus it signifies “unity and faith”. 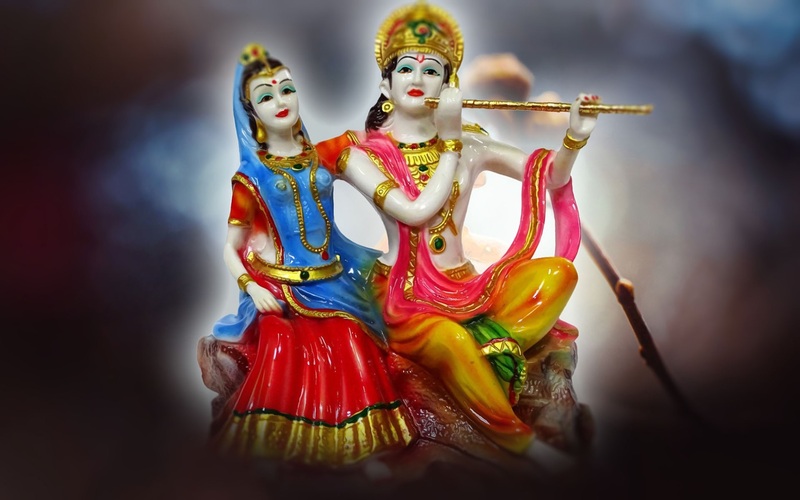 About five and a half thousand years ago, there ruled in Mathura in the modern day Indian state of Uttar Pradesh a despotic king known as Kansa. 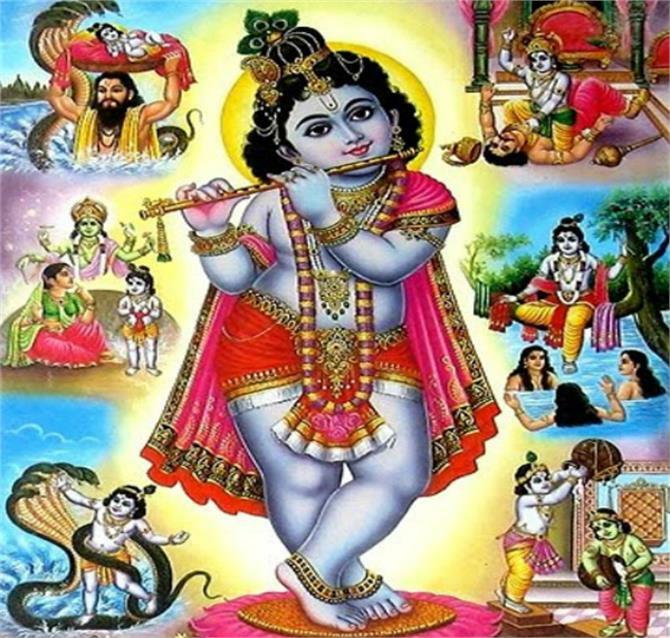 We all have known from Mahabharata that the birth of Lord Krishna happened to kill the demon Kansa who happens to be his maternal uncle. 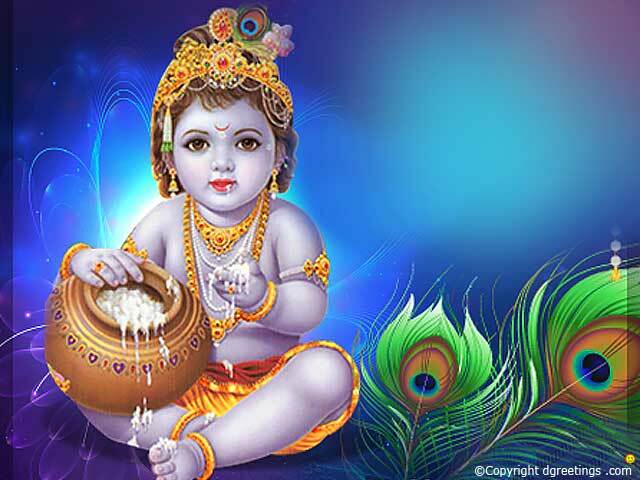 Kansa was cousin of Devaki. 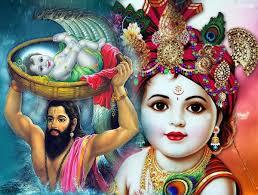 He had a soft corner for his sister.But one day After the marriage of Devaki and King Vasudeva. 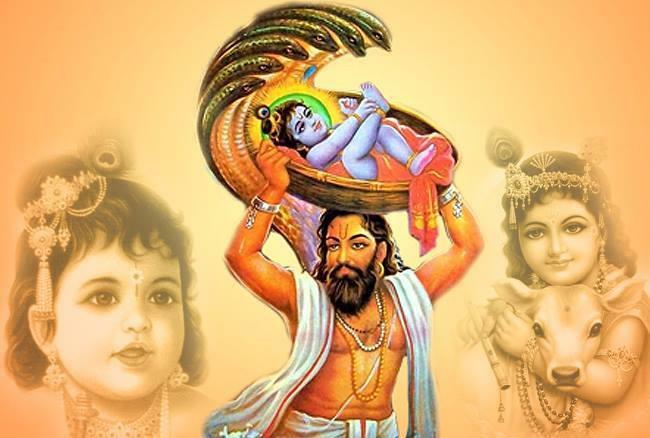 Narada Muni told kansa that he would die in the hand of Devki’s eighth child. 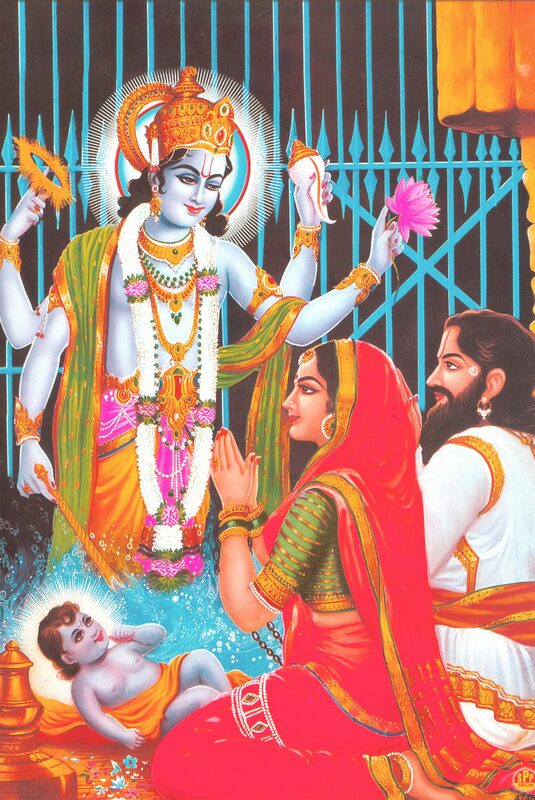 After that the demon Kansa put his lovable sister Devaki and her husband Vasudeva into a prison. 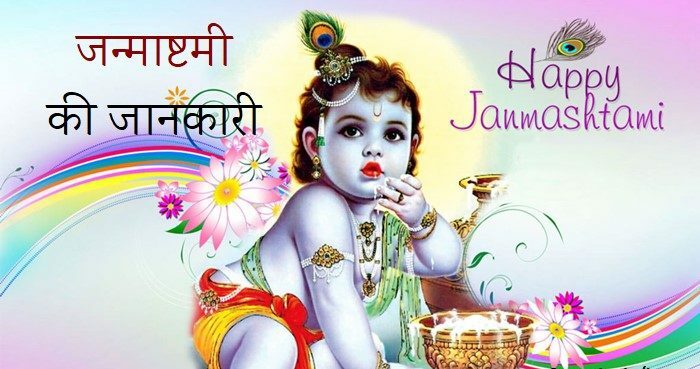 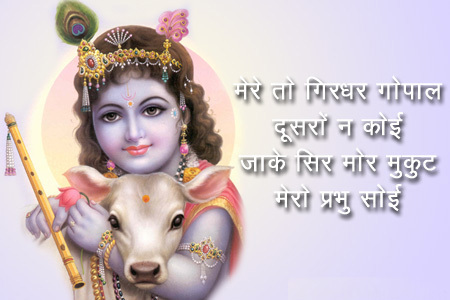 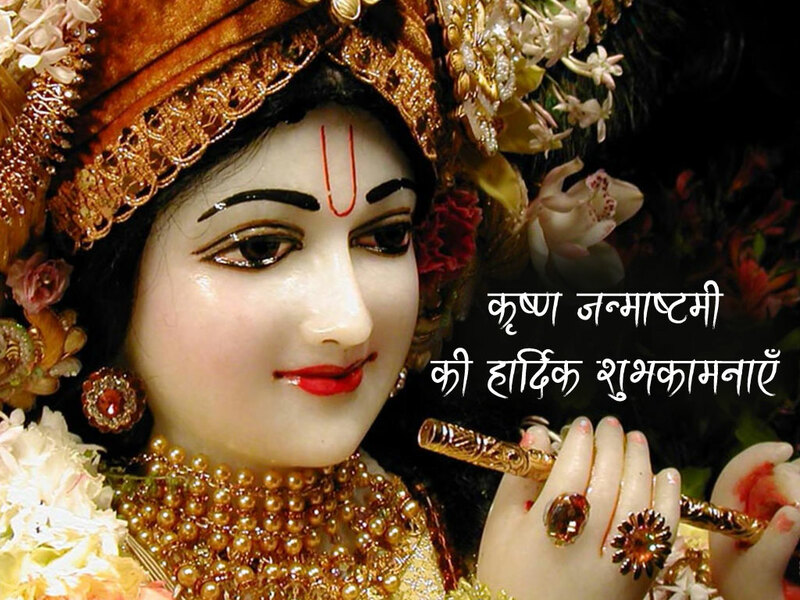 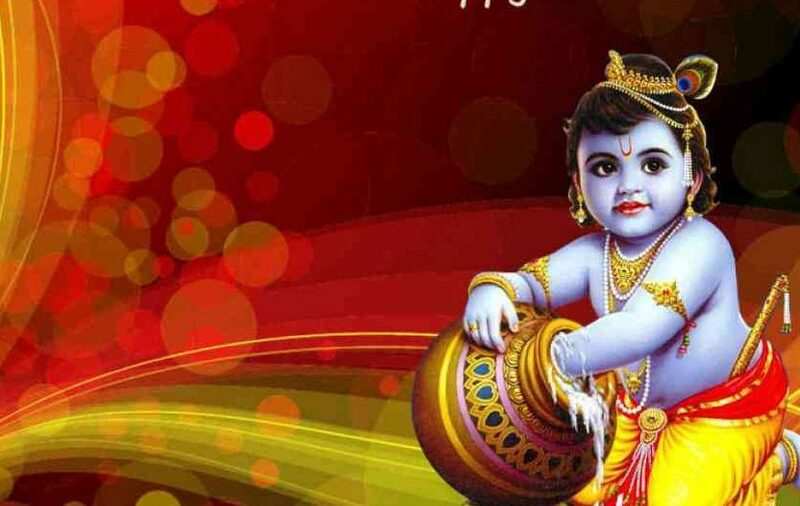 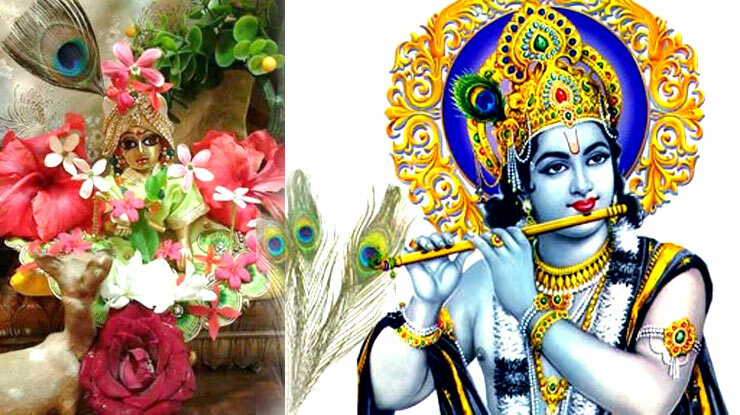 The festival of Janmashtami is observed as a day of fasting until midnight – which is the time at which Lord Krishna was born to his mother Devaki in a prison cell. 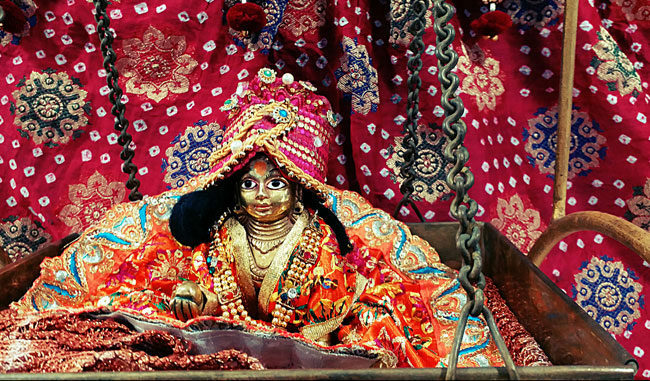 A demon Kansa had planned to kill Krishna at birth, but as soon as he was born, the prison gates magically opened and his father smuggled him out to be raised by his adopted mother, Yashoda. 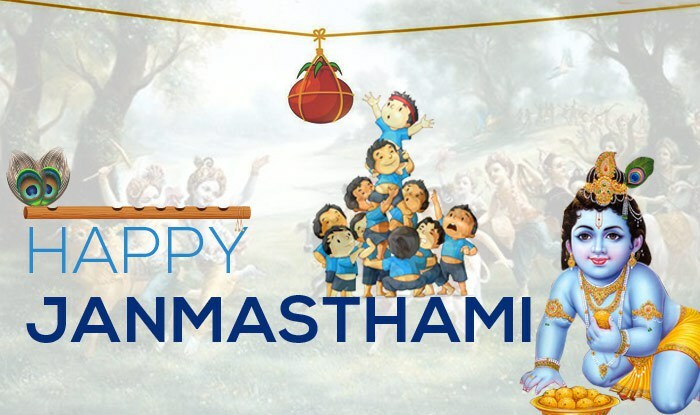 The festival of Janmashtami, or Krishna Janmashtami, celebrates the birth of Lord Krishna, one of the incarnations of God Vishnu.